Lumineers the Painless Way to a Beautiful Smile! Announcing the biggest advance in cosmetic dentistry in over 4,600 years – Lumineers by Cerinate porcelain veneers painlessly create permanent smiles without dreaded shots, grinding or removing painful tooth structure. Now you can get a pain-free dramatic new smile without the tooth grinding of traditional veneers! Whether your teeth are stained, unevenly spaced or crooked – even if you’ve got crowns or bridgework, Lumineers by Cerinate take away the trauma of invasive dental procedures to bring you a dramatically more-beautiful smile! What do LUMINEERS patients think of their new smile? Sharon hasn’t seen a dentist in 19 years. Jim saw one once in 1987 but then never went back. and swears she’ll never go to one again. Fear of the dentist isn’t all they have in common, though. Every one of them is at risk of some very serious problems. Untreated cavities, chipped and cracked teeth look bad – and, unfortunately, people notice. That’s a big problem socially — and in business, too. All too often, people with damaged smiles simply get left behind. Untreated gum disease leads quickly to bad breath – and no matter how many quarts of mouthwash folks use, they end up avoiding getting close to people. Even people they love. Worse yet, untreated gum disease can contribute to a wide range of serious conditions, several of them life-threatening. Untreated dental problems also make it hard to eat. Most healthy foods involve serious chewing that’s painful when teeth are loose or decayed. And having to turn down many foods is awkward in social situations. Taken together, it’s a recipe for pain and loneliness. People with these problems are often afraid to smile. They cover their mouths when they laugh. Meeting new people is painful and getting passed over at work is all too common. We know that in about two thirds of cases people have become fearful as the result of a bad experience.3 Others are reacting to an unpleasant experience someone else has had, to a feeling of loss of control in the dentist’s chair or as a result of an anxiety or mood disorder. Bottom line – we know it’s not your fault. What’s more, we know how to help – with real understanding of your feelings plus strategies to help you feel more at ease – and more in control. Best of all, today my staff and I can offer you safe, gentle FDA approved medications that let you truly relax. With these breakthrough medications you’ll be comfortably drowsy but still in control. Fear vanishes and you feel like you’re just drifting along without a care in the world. In fact, many of our patients are so stress-free they choose to have longer visits so we can do large amounts of work – taking care of years of damage in just one or two visits. If that sounds good, give us a call. We’ll take the time to discuss your fears, offer solutions that work and put your mind at ease. It’s a kinder and gentler world at the dentist office these days. Many of the scary needles and drills are being replaced with high tech equipment that didn’t even exist in years past. One such piece of dental technology is the digital X-ray. Dental X-rayshave traditionally been “good enough” but with today’s modern dental technology a more accurate diagnosis is required Enter the Digital X-ray . 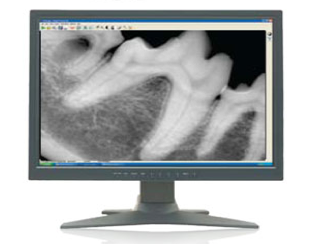 Digital X-rays Provide Clearer and much more accurate pictures of what’s going on inside a patient’s mouth. This allows for a much more accurate diagnosis. Leaks or breaks in fillings that used to go unnoticed, often leading to root canals, can now be found and treated before major damage is done. Teeth Whitening – Will It work For You? Today there’s an increasing demand for dental care that goes beyond the usual cleanings and fillings. The trend today is toward cosmetic dentistry. This is dentistry done simple to make your teeth and smile look better and function more efficiently. Probably the most frequently performed cosmetic procedure is teeth whitening. This is a simple procedure that is started in the dental chair and continued at home by the patient. The most common cause of yellow or dull looking teeth are; normal aging, consumption of coffee, tea, colas, tobacco, the use of antibiotics such as tetracycline, excessive fluoride and nerve degeneration. Oddly enough – and for reasons no one is quite sure of – trauma can also cause the teeth to lose their whiteness. Teeth whitening has been around for many years. However, earlier versions often included overly strong chemicals that were difficult to handle. In addition the treatment was often times quite costly. Today, all that has changed. Teeth are now whitened with the use of a mild, but powerful gel made from carbamide and peroxide. The gel is placed in an appliance similar to an athletes mouth guard. It’s important that the appliance be custom fit for each patient by their dentist so that the whitening gel gets located directly on the teeth and not the gums. The appliance is worn at night, while you sleep or during the day for a few hours. This process is repeated anywhere from 3 to 14 days. Resuts can usually be seen after the first application. And the fees for whitening can Vary between $400 and $600. An Estimated 95% of all patients can receive teeth whitening with good to spectacular results. Your dentist can determine how the procedure can work for you. The whitening process may not be effective for every patient. Patients with Periodontal (gum) problems will not benefit from the procedure until the gum disease is under control. In other instances patients may experience gum irritation or tooth sensitivity. However, these symptoms can be treated easily and usually disappear within one to three days after interruption or completion of treatment. Teeth Whitening today is a fast and inexpensive way to make your teeth white and bright. The majority of people say that with a whiter teeth they smile more and have an increase in Self Confidence.